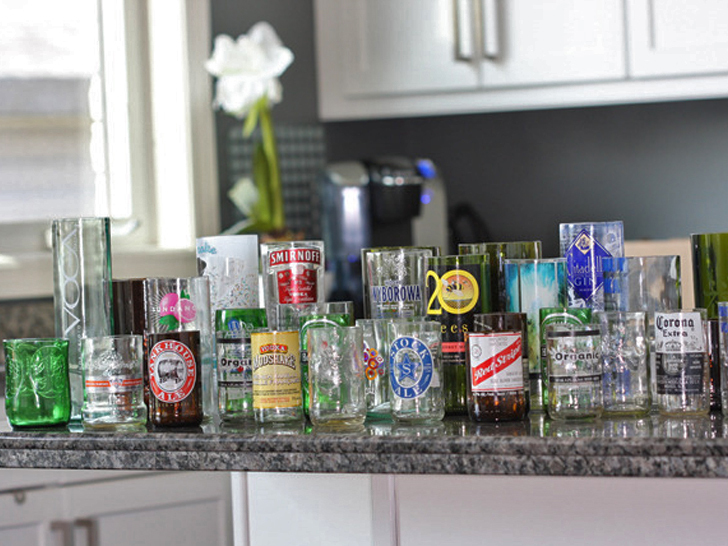 A great way to keep recycling high, Kinkajou is perfectly appropriate for anyone (ahem – college students) who dispose of a lot of glass bottles and don’t want to spend too much money on glassware. The Kinkajou uses a simple three-step process, which involves cutting the bottle with the cutter, separating the top by running hot water, and finishing the top with some wet sandpaper. We hope to see this on the market very soon — and if the price is right, it is sure to find a place in everybody’s kitchen! You mean you can't buy this yet ? based on this beer selection, i assume this writer is from toronto. EARTHDANCER, that is because it isn\'t available to purchase yet. The last line reads: \"We hope to see this on the market very soon — and if the price is right, it is sure to find a place in everybody’s kitchen!\"
how do i purchase one of those contraptions? you can earth dancer, its called google. Be nice if I could find some information about how to buy the kinka jou glass cutter!!! FRUSTRATING! For all the times you've thrown out beer bottles by the dozens, Patrick Lehoux has designed Kinkajou, a bottle cutter that can easily turn all those empty bottles into a set of really cool drinking glasses. Named after a small South American mammal with big teeth, the Kinkajou, unlike the other bulky glass cutters, is streamlined, intuitive and easy to store in the kitchen!